Discussion in 'New Member Introductions' started by Peta, Sep 1, 2013. Hi I'm 'Peta' and am just considering writing about a life experience. Have joined to research how I set out the page for writing really. Will be using a laptop and have no idea of the correct font, page size, line spacing or anything, so was hoping I could be pointed in the right direction before starting. Hope you have a good evening and thanks for reading. Hi. First lesson, just start. Then fix it. Welcome to the forum, Peta. First thing is to have a read through the Forum Rules and then have a look around to get your bearings. We've just gone through a major upgrade to a new forum platform and were still tacking down the odd thing here and there. Welcome to the forum! 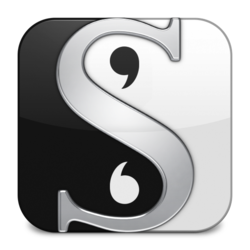 Everything you need to know about manuscript formatting can be found here. This page shows the industry standard format. Before you submit your work to a publisher or agent, though, check their website to make sure they don't have any special requirements. If they don't specify anything different, then the Shunn page I just linked to is the reference you should use.